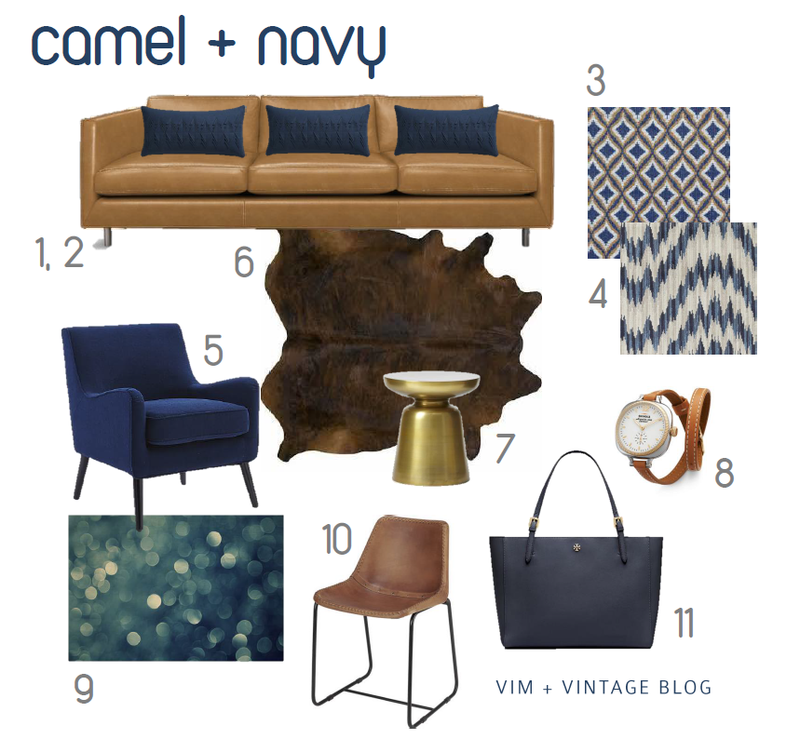 color story: camel + navy | Vim & Vintage - design. life. style. I love the color of camel specifically because it can instantly dress up any space. It feels, warm, rich, and sophisticated. While Navy’s personality gives off different vibes – nautical, bold, traditional – these two totally compliment each other. If you’re going for a look that is classic and stylish, but not overly feminine, these 2 are for you. Try throwing some fun pattern in the mix, such as leopard. Pair with textures like acrylic or metallic for a more modern feel. Use these 2 as a color pop in with light walls to enhance a neutral space. 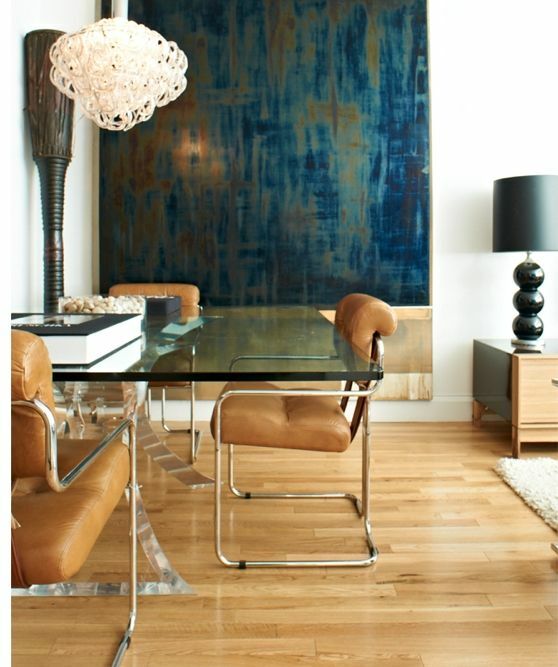 Or go with a deep blue paint color to make the space feel warm and masculine. These colors have a way of feeling “dressed up” but they can also be more casual too! For the sources to these items and more, check out the Camel + Navy board on V&V’s Pinterest page!